The conquest of Canaan is always a controversial topic. Why would a God of love allow people to be massacred like this? There have been numerous ways to explain this. Still, very few if any have been done by actual Old Testament scholars. That has all changed. Not only has it changed, but it has changed with one of my favorite scholars in the field, writing alongside his son. This is a man who has changed the way we look at numerous texts and is someone I am always thrilled to have on the show. Now he has a new work out in this book that as I have indicated, was written with his son, dealing with the conquest of Canaan. This one presents an interesting theory that is already causing some talk in the evangelical world and I will be talking with him about this book and what all his conclusions entail and what this has to say about questions of morality and judgment in the Old Testament. My guest is none other than John Walton. Who is he? 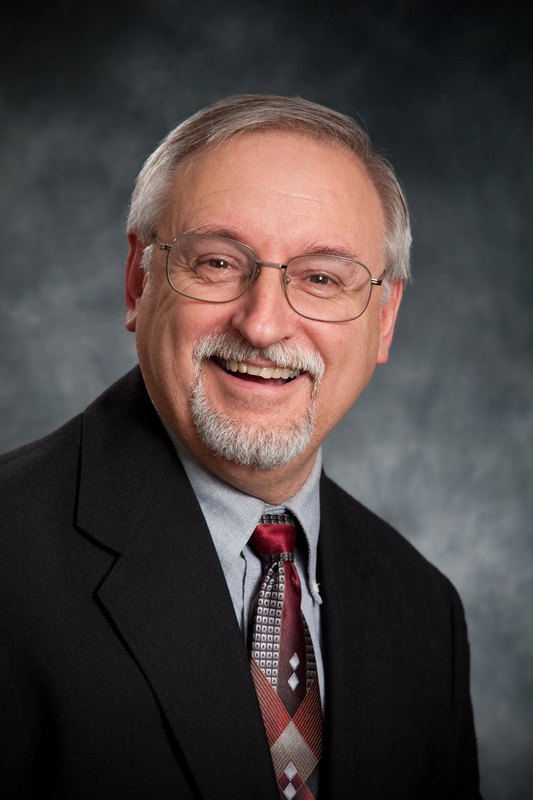 John’s research and his energized presentations are rooted in his passion for drawing people into a better understanding of God’s self-revelation in Scripture. John (PhD, Hebrew Union College) is a professor of Old Testament at Wheaton College and Graduate School. He focuses his research on the literature and cultures of the ancient Near East and the Old Testament, with a particular interest in Genesis. Before his role at Wheaton, John taught for 20 years at Moody Bible Institute. John has authored many articles and books, including The Lost World of Adam and Eve, The Lost World of Genesis One, Genesis 1 as Ancient Cosmology, and Ancient Near Eastern Thought and the Old Testament. John also served as general editor of the Zondervan Illustrated Bible Backgrounds Commentary: Old Testament and co-author of the IVP Bible Background Commentary: Old Testament. Tomorrow, we will be discussing his latest book The Lost World of the Israelite Conquest. In this book, Walton says that we have got a lot wrong about the conquest. The conquest is more about preparing sacred space for the Israelites to serve YHWH in community and that the conquest is not about judgment on the Canaanites for their sins. What does this mean? Does this mean the Canaanites were rather good people and just in the wrong place and wrong time? Doesn’t the text frequently speak about their detestable practices? Does this mean YHWH was okay with what they were doing? These are all important kinds of questions to ask. Why is really going on in the text if we have misunderstood it and how do we work this all out today? Have past writers on this been entirely wrong in their defense of YHWH in the account? I hope you’ll be joining me next time. Please be watching for the next episode in your podcast feed. Also, please go on ITunes and leave a positive review of the Deeper Waters Podcast. What do I think about Michael Bird’s book published by Eerdman’s? Let’s plunge into the Deeper Waters and find out. I should point out at the start that the copy I am reviewing is an unproofed and unedited review copy sent to me courtesy of Eerdman’s. I thank them for their generosity. This was done in advance so I could interview Dr. Bird as soon as possible on this book. There are some ideas that are tossed around so often that most of us accept them without going back to check the evidence. Did Christopher Columbus believe that the Earth was round in contrast to people who thought it was flat? Obviously. Did the Spanish Inquisition kill millions of people? Definitely. Many of us heard these ideas growing up so much that it never occurred to us to question them. It’s not just the man on the street that has this. Scholars can have this as well. There’s often no need to reinvent the wheel after all. There have been landmark works written to argue that the early Christology of Christianity was adoptionist in Jesus, that Jesus was chosen to be the Son of God at His baptism. So the scholars are referred to, it’s an idea set in stone, and we move on. Fortunately, there are scholars like Michael Bird who think that even old ideas need to be examined and perhaps it could be that the emperor of adoptionism really has no clothes. Dr. Bird has made it his goal to show this in a book that is relatively short, but don’t let the size fool you. What is said in a smaller number of pages should have enormous impact. Bird looks at the classic texts used and raises powerful questions about them. For the start, these includes Romans 1:3-4 and Acts 2:36. I know the latter is one I have also seen unitarians and Jehovah’s Witnesses use to argue their viewpoint. It looks sadly like many scholars have the same kind of misunderstanding that these people do. From there, we go to the book of Mark. How does Mark present Jesus? If one looked at the baptism in isolation, perhaps one could get an adoptionist viewpoint, but then one needs to consider the introduction, the conclusion, everything in between, the Jewishness of the author, the culture it was written in, you know, the little things like that. Bird takes a look at the way YHWH was seen in Israel along the lines of the creator/creature divide. Then the question has to be how does Jesus fit in. There’s much more than just the pre-existence of Jesus as Mark regularly shows Jesus in a unique position in relation to YHWH. One other such example is the forgiveness of sins in Mark 2. Bird realized that too often he was looking at that and thinking in a post-Christian sense where for instance, in many traditions, including Protestant, a priest can pronounce forgiveness. I attended a Lutheran church in Knoxville. The pronouncement of forgiveness was common. This might be common for us, but it was not for Jews of the time. Jesus did something incredibly unique in that. Bird goes on to look at other instances like Jesus walking on the water and what the Olivet Discourse means for Jesus and the introduction of Mark. I could go on, but you get the idea. He then looks at how adoptionism arose looking at key suspects in the second century like the Shepherd of Hermas and the Ebionites. He’s still not convinced either of these is the key. Somehow though, the belief obviously did arise. Bird’s work is excellent and I must quote the very last paragraph in full. A Christology that presents us with a mere man who bids us to earn our salvation is an impoverished alternative to the God of grace and mercy who took on our flesh and “became sin” so that we might become the “righteousness of God.” I prefer a Christology where the Son was crucified on the cross for us, was glorified in the resurrection for us, and was exalted to heaven for us—so that on the appointed day, we all would attain adoption as children of God and the redemption of our bodies in the new creation. If I had one criticism, it would be this, and I do have an unedited and unproofed version so that could change, but I missed something in this book. Bird usually writes with a lot of his Australian humor thrown in that makes me laugh regularly and I was looking forward to more of that. I do hope a final release will have all of that. It’s become iconic for Bird’s writings and makes his much more of a joy to read than others. What do I think of N.T. Wright’s latest book published by HarperOne? Let’s plunge into the Deeper Waters and find out. N.T. Wright is one of my favorite authors to read. He is a deep thinker and he seems to have a vast knowledge of the Old and the New Testaments. There is also no isolation as he shows the interplay between the two very well. These are not facts just hanging in the air. These are part of a large and grand story. He makes me come to the Bible with fresh eyes seeing it incredibly different and leaves me with a greater love of the text. This book is no exception. In it, he looks at the cross as the day the world changed. Of course, this wasn’t really known until the third day when Jesus rose, but the cross was something that changed the world. He also has a full-frontal attack on the idea that this is all just because Jesus died for our sins so we could be good people and go to Heaven. He does believe Jesus died for our sins. He does believe we should be good people. With Heaven, he holds, and I think rightfully, that God’s Kingdom is indeed to come on Earth and God is not going to destroy this world but rather to redeem it. The parts about dying for our sins and being good people is true, but it is missing a lot. For Wright, the world was created and our vocation in it was to rule on behalf of God. When man failed, the task went to Israel to be a kingdom of priests for God to get all humanity back to where it needed to be. We know how that turned out. Israel needed to be rescued and redeemed often more than the people they were meant to rescue and redeem. God knew what to do. The Son, who has the very nature of God, came and died in order to redeem the world. Through death, He disarmed the power of sin and broke its hold over us. Through this, we were sent out then to be the people that we ought to be. Wright then argues that our being good people in this world is not because we have a contract with God that He does something good for us and we do good back, but because our task now is to be those priests for a dying world. When we sin, it’s not just that we broke a rule that is out there. It is that we are violating our very being. We were meant to be holy and when we do something wrong, we give some power back to those powers that enslaved us and that Jesus came to break us free from. We have too often read Paul and the Gospels with the idea that the Gospel is all about Jesus dying for our sins so we could go to Heaven. It can be as if this world doesn’t matter. It’s just an accident in the story. That’s also why so many of us having a hard time finding our place in this world. Yes. We’re meant to be good people, but to what end? We too often think “If we are good people, then others will ask us what makes us so different and then we tell them about Jesus so they can be good people too.” Unfortunately, this rarely happens, and second, it makes it so that we are the end result of all God does. We are not the end of what God does. God is the end of what God does. His glory is supreme. When we live transformed lives and work to bring about the Kingdom of God on Earth as it is in Heaven, then we are giving the glory to God. Of course, this doesn’t mean that we establish a theocracy. That is not ours to do. It does mean that we live like Kingdom people knowing that while in many things, we submit to our governments, that when our governments contradict with God, we hold to the higher authority. Wright’s book is engaging and scholarly and it leaves one with a greater appreciation of the New Testament text as well as a greater appreciation of holiness. It’s wonderful to go through a book like this and say “Hey. This makes sense.” All the ideas start clicking and falling into place. Our New Testament faith is not just ideas hanging in the air unrelated to Israel. They are entirely connected to Israel. We cannot give a full Gospel presentation without mentioning Israel and yet so many of us skip that part. I really recommend you go through Wright’s latest book. It will leave you with a new way of looking at the cross and at your own life. I eagerly look forward to the next book by N.T. Wright. The Bible is all about Jesus, isn’t it? Let’s plunge into the Deeper Waters and find out! I thought about this recently in looking through Facebook memories. I found an interaction I did with someone Jewish who told me that I would insist that Isaiah 53 had to be about Jesus. I said in fact that I have no problem with Isaiah 53 being the nation of Israel. I pondered further upon seeing this and thought that this could be a problem with our hermeneutics. It damages our giving of the Gospel and damages our witness to the Jewish people around us especially. You see, many Christians today seem to think that everything in the Bible is about Jesus. Please don’t assume at the start that I’m disputing this. I’m not. I just want that position to be further nuanced. Another assumption we have that unless a prophecy is about Jesus specifically, then that is a prophecy about the end times and whoa! Wouldn’t you know it? We just happen to be the people that the Bible is prophesying about so hey, let’s open up the Bible and then see what is going to happen in the world next! Both positions I consider damaging. Let’s start with the first. I tell people that when you read the Old Testament I want you to try to cease to be a Christian, at least for a little while. Imagine you’re a Jewish person at the time of the writing who is hearing this for the first time. You have no clue about Jesus. What are you going to think about the text? How will you interpret it and understand it? When we give our presentations of the Gospel, we often present Israel as a footnote if even that. Israel was quite central to what God was doing. We make it sound sometimes like God wanted to redeem the world and Israel failed so Jesus came as plan B. As I’ve argued elsewhere, when we give a Gospel presentation, we need to include Israel. When we include Israel, we can understand the covenants of God and the promises of God better. Good objection. I had suggested you cease being a Christian for awhile when reading the Old Testament. After that, bring back your Christianity and then see how a Jewish Christian at the time of Jesus would read the text. Then go even further and see how a Gentile in the first century who believed in Jesus would read the text. The text is written for you, but it is not written to you. When you see a text that could be about Israel, go with it. See what it says about Israel. Then ask yourself these questions. “Who is the true Israel?” Who is the true one who represented God to the world? Who is the true one that could be called someone in covenant with God? Who was the one who brought God to the world? The true Israel is the one who did those things. Israel was meant to do them, but Israel couldn’t because Israel was part of the problem consisting of fallen human beings. Jesus was the one who did not fall and thus can be called the true Israel. We today can also be called Israel not because we have replaced Israel, but because we have been included in the promises of God. We have been grafted into the olive tree. All who believe in Jesus are on that tree. It includes Jewish and Gentile believers. Thus, the text can be about Israel at first, but it also points to the greater Israel, Jesus. We can be included in a sense as well as we take on the identity of Jesus. This is another motive for us to strive to be like Jesus. What about end times stuff? Well believe it or not, a lot of prophecies have been fulfilled and not just ones about the first coming of Jesus. Much of Isaiah 12-16 describes Babylon for instance. A lot of the prophets were seen as prophets because some of what they said had happened as they said it would. Now some of you might want to go to a dual fulfillment for the end times. As an orthodox Preterist, I don’t buy into that, but if you want to use it, please do not deny the prior fulfillment. The Bible is definitely all about Jesus, but it is not all about you. This will also help you reach the Jewish people you know. Our Christianity can often make it seem like the Jewish people have been passed over and God does not work with them anymore. Imagine what it does when we say the Old Testament itself is not about Israel. There was an old episode of All In The Family once with Archie Bunker’s son-in-law getting after him about his antipathy for Jewish people. The son-in-law asked him about his nephew and niece having Jewish names like David and Sarah. Archie replied that those were names from the Bible, which has nothing to do with the Jews. A funny clip and we all see it as a ridiculous statement, but do we live it in our hermeneutics? Are we just as guilty of excluding Israel? Does it damage the way we read Scripture and our witness to Jewish people? Posted on 19th October 2016 Author Nick PetersCategories ApologeticsTags Israel, Jesus, Jews, Judaism, New Testament, the Bible is all about JesusLeave a comment on Whatever Happened To Israel? Why is it that we are not making the most of media? Let’s plunge into the Deeper Waters and find out. My church meets at a movie theater. Yesterday, my wife and I arrive to help set up in the auditorium. As we’re going back and forth, I see behind the counter a promotion for an upcoming movie called Four Blood Moons. I’m looking at this as one who has written on it before and I’m thinking “Please, please, say it isn’t what I think it is.” Unfortunately, if you’ve clicked the first link, you already know that this is not a joke. As you can see by the description given by the producer of the film. It is rare that science, history and scripture align with each other, yet the last three series of Four Blood Moons have done exactly that. Are these the “signs” that God refers to in the Bible? If they are, what do they mean? What is their significance for us today? In his riveting and highly acclaimed book, Pastor John Hagee explores the supernatural connection of certain celestial events to biblical prophecy-and to the future of God’s chosen people and to the nations of the world. In the movie “Four Blood Moons,” produced by Rick Eldridge and directed by the Academy Award Winner, Kieth Merrill; these veteran filmmakers illustrate this fascinating phenomenon in a very compelling docu-drama. Cinematic recreations of historical events from the United States, Israel and throughout the Middle East; along with expert testimonials from scientists, historians and religious scholars, are used to illustrate this story told in narrative format by a celebrity host. Just as in biblical times, perhaps God is controlling the sun, the moon, and the stars to send our generation a signal that something big is about to happen. The question is: Are we watching and listening for His message? It is hard to say if I’m more angry or sad about this coming out. To begin with, I happened to like D’Souza’s What’s So Great About Christianity?, but if this is the way that he’s going to be going now, then I have to ask D’Souza to please step down from doing this sort of thing. This is an embarrassment. Anyone can do some basic research and see that the blood moon phenomena just doesn’t apply. It is the kind of thing that skeptics of the Christian faith will just mock and sadly. Worse, I think nothing will really happen that is major, though it is the Middle East so anything could be construed as a fulfillment. When that happens, atheists will be able to point to something in recent history and use that to not only not take the movie seriously, but not take Christianity seriously. I have also been disturbed to see that both Hugh Ross and Dennis Prager are in this. I fear I am hoping against hope that their only role in the movie will be showing up and saying “No.” Unfortunately, there is a strong part of me that is quite sure that they’re not being invited on to give a negative critique of the idea. In a recent book review, I wrote about how we Christians keep blundering in media. We make movies that only appeal to Christians. How are we going to reach the world if we stay in the circle of our own interests and make films that only those like us will want to see? Of course, there’s a place for encouraging each other, but we hardly see films pushing a Christian message, unless that message is made cheesy and explicit. Fellow Christians. Please realize this. The world makes movies that espouse a view of the world that is not in your face and that view of the world is in fact having an impact on people. Dare I say it but maybe we could learn something from our opponents? Maybe we could learn that our audiences are not supposed to be so dumb that they have to have everything spelled out for them? Why do you think a series like the Chronicles of Narnia is so enthralling? What about Lord of the Rings? The Gospel is NEVER spelled out in these and you’ll find fans of those series all across the religious spectrum. It is my sincere hope that Four Blood Moons will be entirely neglected and that the studio will lose out on this project. If this is the way that D’Souza is going to go with jumping on bandwagons in this way, then it would do him well to just get out now. When people come and hold to theories like this, it makes me really wonder if I can take their viewpoint seriously on other matters. If that is what I can think as a Christian, what will those outside Christianity think? They already think our view is crazy enough as it is. Is there any need we have to add to that? How about we spend this Easter focused on the resurrection and not blood moons? 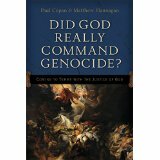 Book Plunge: Did God Really Command Genocide? What do I think of Copan and Flannagan’s newest book? Let’s plunge into the Deeper Waters and find out. First off, I wish to thank Dr. Copan for sending me a copy of this Baker book for review purposes. I will state up front that I see Flannagan and Copan both as good friends, but I earnestly desire to avoid allowing any bias to cover my review. It will be up to the reader of this review to determine if I have done so. It is morally wrong to deliberately and mercilessly slaughter men, women, and children who are innocent of any serious wrongdoing. Some people reading the start will be wondering about the beginning. Why are we having a discussion on inerrancy? Why a discussion on what it means for the Bible to be the Word of God? All of this is important, because it is about how we are to process the information in a text and too many people have an idea that if the Bible is the “Word of God” then somehow the ordinary rules of language don’t apply and everything must be applied in a “literalistic” reading. From there, we get into the conquest itself. Is the text using hyperbolic language? Copan and Flannagan argue that it is simply because if you take in a literalistic sense, the accounts immediately contradict. For the sake of argument, one could say there are contradictions in the text, but let us not say the writers were fools who would notice a blatant contradiction right in their midst. Many of the commands also involve not destroying, but rather driving out. The commands were also limited to war within the holy land itself. Naturally, the authors argue against those who want to use the Bible to argue against the hyperbolic interpretation. They conclude this section by looking at legal and theological questions concerning genocide and show that by legal definitions used of genocide today, the events that took place in the Conquest really don’t work. The third part of the book starts with Divine Command Theory. I will state that while I believe everything God commands is necessarily good and we are obligated to do it, I do not hold to DCT. I think this section does deal with several bad arguments against it and that makes it worthwhile in itself. It’s also important that you can be someone who does not hold to DCT and it will not detract from the overall position of the book. For instance, let’s suppose you take my position and yet think that if God commands something, it is good. Then the rest of the part will still work for you. It asks if God could command events like the deaths of innocent human beings. The authors use some excellent examples about how in even our time we could picture a president commanding such an order and not condemn them. For instance, suppose on 9/11 three of the planes have hit and we know the fourth is on its way to the target. This plane no doubt commands innocent human beings, but would we understand a command from the president to have it shot down knowing innocents will die? Note that is not saying it is necessarily the right decision, but that it is an understandable decision. The authors also deal with what if someone claimed this today. For the authors, the principle known earlier as the crucial moral principle holds if all things are equal, but if you think God is telling you otherwise, you’d better have some excellent evidence. Most Christians today would say you do not because even if you hold to God guiding people personally today and even personal communication today, most would not hold to prophecy on the level of Scripture being given today and if God commanded you to kill someone, that is not a position to hold to. So what makes Moses and the conquest different? One is the preponderance of what are called G2 miracles. These are miracles that you could not just explain away as sleight of hand if true. For instance, when the water of the Nile turns to blood, the magicians can repeat that so yeah, no big deal. When the Red Sea parts and the whole of the Israelites pass through on dry land and the waters drown the following Egyptians, yeah. That’s not so easily explainable. The same for manna falling from the sky every day for forty years and the wonders that took place around Mount Sinai. The average Joe Israelite soldier had good reason to think Moses had some divine communication going on. I personally found the last section to be the most fascinating and this is about violence in history and its link to Christianity. The authors cover the Crusades particularly and show some contrasts between Islam and Christianity and also point out that the Crusades have not been hanging over our heads for centuries. If anything, the usage of them is a more recent argument. They also deal with the idea of religious violence and show that much of the violence we have seen is in fact political though often hidden under a religious veneer. Included also in this section is a piece on the question of pacifism and if there can be such a thing as a just war. Copan and Flannagan have provided an excellent gift to the church in this book. Anyone interested in studying the conquest of the holy land and wanting to deal with the question of religious violence in general will be greatly benefited by reading this book and keeping it in their library. Posted on 15th December 2014 Author Nick PetersCategories Apologetics, Book Plunge, Evil, Inerrancy, IslamTags 1 Samuel 15, Amalekites, Canaanites, Christian Violence, Conquest, Crusades, DCT, Did God Really Command Genocide?, Divine Command Theory, Genocide, Holy Land, Islam, Israel, Joshua, Matthew Flannagan, Midianites, morality, Moses, Numbers 31, Paul Copan, Religious Violence5 Comments on Book Plunge: Did God Really Command Genocide? What do I think of Holding’s book on the blood moon theory? Let’s talk about it on Deeper Waters. In the interest of full disclosure for a review, J.P. Holding who wrote “Blood Moon Lunacy” is my ministry partner. I am always one of the first to get a copy of his book so that I can review it as well. In this one, Holding looks at the theory propagated by people like John Hagee. The idea is that when there is a tetrad, that is, a group of four blood moons, that take place on Jewish holidays, then that means there is something about to happen with the Jews. These blood moons are also accompanied by a solar eclipse which means they’re not really tetrads, but we’ll let that slide. So is there any credibility to it? Holding points out that Hagee knows that there are seven times that this kind of occurrence has taken place, yet he only tells about three of them, which is awfully convenient. Just do your best to ignore the data that doesn’t suit your theory. Also, note that many times where one would have expected something like this, it never happened, such as 70 A.D., 135 A.D., or the holocaust. Hagee also neglects to mention that many of these eclipses would not have been visible in Israel or even worldwide. Some of them would even be visible in only the arctic areas. Hard to imagine this being Hagee’s sign for the world if the world cannot even see them. Unfortunately, Hagee has had this kind of reputation before. Holding points out that in past books he has predicted many events would take place and in fact, they haven’t, but shortly thereafter a new book will come out and it will use the same arguments and this time for a different event. There will be no apology or admission of fault for the past mistake. This is something that always makes me wonder about these “prophecy experts.” No matter what, they are consistently wrong, and yet we still keep referring to them as experts. Why is that? Would you consider going to a doctor who was consistently wrong? Would you want a lawyer to argue your case who consistently lost? Would you follow the advice of a stockbroker who was consistently mistaken? Yet people are often willing to support even global policy on the words of people who are wrong regularly. Of course, my answer to this is to suggest people look at the futurist hermeneutic with suspicion. That is one reason I accept a Preterist hermeneutic where I interpret prophecy based on ones that have already been fulfilled, which means to not read them in a wooden and literal sense. Unfortunately, too many Christians will be paying attention to blood moon theories instead of paying attention to Scripture itself and not looking into the claims of people like Hagee who are misleading the church and filling them with fear. I have said this before and I’ll say it again. When people like Joel Osteen, Joyce Meyer, and John Hagee are no names in the Christian community and people like Mike Licona, N.T. Wright, William Lane Craig, and others like them are household names in the Christian community, we will experience the growth that we should in the church. I highly recommend Holding’s book for showing the errors of John Hagee. Are we really reading the passages the way they were meant to be read? Let’s talk about it on Deeper Waters. I was asked to reply to a video found here. I think it is important to respond to such videos because frankly, the end times can be scary for a lot of people. When I was a pre-trib, pre-mill dispensationalist, I found it frightening also. Yeah. It’s kind of neat thinking the rapture can happen at any time, but kind of frightening too, and what about all those people left behind? What about all the destruction to come on the Earth? What about the antichrist? With movies like “Devil’s Due” coming out, we can be sure end times mania is not far from people’s minds. That and I understand that a remake of Left Behind is in the works. It can hardly be the case that a ruler in the Middle East will sneeze without prophecy experts showing up immediately. Unfortunately, these experts have a great track record of being wrong as J.P. Holding of Tektonics shows in this video and in this video. This is also why I think it’s important that people get their bearings straight on eschatology. Even if you come from a different view than I, at least know what you believe. That way, you won’t be able to be blown around by everyone who comes along with a new interpretation. So let’s look at this video that I’m writing about together. The video starts early saying not many people know what the Bible says about the second coming of Jesus Christ and therefore, they are in danger of being deceived. As an orthodox Preterist, I think too many already are unfortunately. A first century event has been turned into an event sometime to occur in the distant distant future. Now some people hearing me identify myself as a Preterist might wonder what I’m talking about. For that, I recommend that you go here and here. I’m sure the makers of this video will count me as one deceived. Oh well if they do. In order to do so, they will need to address my criticisms. Next we are told that on the day Jesus returns, there will be a polar reversal. What I’m wondering immediately at this is not about the polar reversal (Although I am wondering what passage of Scripture says this), but rather about that word “return.” Are we talking about the second coming or return? Are these one and the same? This is a problem I have with futurists often. What do the words mean? Does the rapture count as a coming? Is it maybe a half coming since Jesus never fully comes to Earth supposedly but just appears? If this is a return, then is it the event described in Matthew 24? If so, then that leads to even more concerns. Paul ties in the return of Jesus with a mass resurrection in 1 Thess. 4 and in 1 Cor. 15. Nowhere in Matthew 24, Mark 13, or Luke 21 do we read anything about a resurrection. Why would Jesus not mention that and that be the main event Paul mentions? According to the video, Isaiah 24:20 says “the Earth will shatter and crack and split open. The earth will stagger like a drunk, and sway like a hut in a storm. The world is weighed down by its sins. It will collapse and never rise again.” Immediately after this, the speaker jumps to Revelation 6:12. Shouldn’t we finish looking at Isaiah 24 first? You see, this is what I call Biblical hopscotch. You take one passage here and then hop over to another passage and then hop to one more passage never staying in any book for long to get a real taste of it. Imagine going to a restaurant and going to a buffet line and just taking a little piece of so many foods but never really sitting down and enjoying a meal. That’s the kind of picture that is taking place here. The video wants to move past Isaiah 24. I don’t. If we take it literally, then what happens? The earth is split. The text says cracked and shattered as well. And yet, somehow, the Earth supposedly has remained in one piece. Well maybe it’s not that literal…..
It’s literal except for the times that it contradicts the theory apparently, and then it’s not literal. What’s going on is that the prophet Isaiah is giving descriptions of judgments on the nations around Israel. The language is apocalyptic to describe in cosmic terms the political events that will take place. An example of this is Isaiah 13. This sounds to many people like the end of the world. It’s not. It’s judgment on Babylon. Some readers might be thinking “Well obviously, Isaiah is talking about a Babylon that will show up in the far far distant future.” Why think that? Israel was concerned about Babylon then and this can show a fulfillment. And besides, if the Earth is never to rise again, then how can it be that Christ will rule on the Earth? Is Christ going to rule over ruins? I thought His Kingdom was supposed to be a glorious Kingdom! Once again, if you read it in a wooden sense, it cannot be consistent. So let’s go on to Revelation 6. We’re given a detailed scientific account of what’s supposed to happen. Okay. I’m not a scientist. I can’t comment on that. Savvy readers who are skilled in the sciences are welcome to leave a comment about the matter. I am sure of this point. If one star were to fall and hit the Earth, we would be doomed. I’m also quite sure that if the sun turned black, we wouldn’t be able to see the moon at all to tell what color it is. The speaker goes to Psalm 97:5 that says the mountains melted like wax before the presence of the Lord to illustrate this. Little problem there. Psalm 97 has everything in present tense. It is describing realities going on right now. The point is not global upheaval. The point is that all creation is to submit to the ruler YHWH. If the way the video reads the Psalm is the way we are to read it, then Psalm 98:8 will be an exciting time when the rivers clap their hands and the mountains sing for joy. Okay. That would be a cool video to see. Now we jump to Revelation 16:20 which says that every island fled away and the mountains were not found. Then there’s an immediate jump back to Revelation 6:15. Exactly how are we to read the book of Revelation? Can we just jump wherever we want to and apply it in whatever method we want to? Interestingly, 6:15 speaks of evil people who go to the mountains and ask them to hide them from He who sits on the throne and the wrath of the lamb. You know, those mountains that the video just said had crumbled and the ones that Revelation 6 says were removed from their place prior…. Yeah. I don’t get it either. The video then tells us that the global earthquake will cause every building to fall. Isaiah 30:25 calls it the day of the great slaughter. What else does Isaiah 30 say? Well actually, it’s not a prophecy of destruction at all! And you know, if this was really a time of great blessing, it would not be a blessing for the sun to be seven times brighter in a wooden sense. And what’s going to happen? God will heal his people. This is not judgment! Unfortunately, too many people will just hear what the vid says and not really look up the references. Understandable unfortunately, but a mistake. Next, it’s back to Revelation 16:21 and hailstones about 100 pounds each falling. So apparently in this time of great prosperity for God’s people, there will be giant hailstones falling on the Earth. Seriously. On what grounds does one have the right to jump from Isaiah 30 and suddenly go back to Revelation 16 like this? Okay. Now we move on to Matthew 24:30 with the sign of the Son of Man appearing in the heavens. Every one will see him and He will come on the clouds. The video also goes to Revelation 1:7 saying everyone will see Him, even those who have pierced Him. All of whom, by the way, are dead now…. Notice that David is talking about a past event, but read through the books of Samuel and you will not find this literally taking place. You will not find God hitching up his angels to go on a ride and shoot arrows at the bad guys. What will you find? David’s enemies regularly got judged, and often through natural means. But for the ancients, the deity (or deities) were involved in everything. Notice also the language David uses. He speaks about the Earth shaking and the foundations of the heavens trembling. This is language of destruction, but we have no record of a great earthquake in the lifetime of David. God has come to rescue His people? But God Himself didn’t show up in Egypt. It was Moses who showed up and performed the works of God. And in Matthew 26:64, Jesus says this to the high priest at his trial. Note what Jesus says. From now on, Caiaphas will see this. This is not a one-time future event. This is going to be a continuous event. Note also that Jesus will be coming and at the same time, sitting at the right hand. How is this possible, unless coming is a way of saying that Jesus will be judging! This court that has convened to judge Jesus will actually be judged by Jesus. Caiaphas himself will see this. So either, this has happened, or else Jesus gave a false prophecy. Your choice. And in Revelation 2:5, we read this to the church in Ephesus. So if this church does not get its act right, the second coming will take place? Now of course, the video goes to 1 Thess. 4 and we hear about the rapture. Therefore I am once again wondering about the viewpoint of the video. Are they post-tribulational? Are they mid-trib? Yet they say the Christians will be saved from this terrible wrath. How can that be if this wrath has already started and the Earth is reeling, which is necessary since they say this is how every eye will see Jesus? Again, I am confused. And as for meeting him in the air and so shall we ever be with the Lord, does that mean we are always going to be remaining in the air? Once again, the text is to be taken literally, except for when it is not to be taken literally. The video also goes to 1 Cor. 15 yet my question still remains, where in Matthew 24, Mark 13, or Luke 21 do we see this resurrection take place? Why did Jesus leave out such an important detail? The video then says that we will all be gathered with the Lord to defend Israel. (Kind of odd that Jesus leaves out that bit too about defending Israel. Kind of odd especially since passages like Matthew 24 actually describe judgment on Israel and not a hint of deliverance. In fact, Christians are told to flee Israel at that time.) The text jumped to for this is Rev. 19 and Zech. 14:4. We’re told Jesus and His army, notably us, go out to wage war against the many arab nations and the antichrist, that figure who has not been spoken about this time, but is apparently enjoying a successful career reigning where every building has been destroyed! Apparently, all these tanks of the enemy are going to fight just fine despite the sun being darkened. We go to Joel 3:16 for this one. What is going on in Joel? Well, we’re not told. Joel is a difficult book to date. Some date it to the 6th century. Some date it to the 9th. It does describe present realities going on and an army that God will defend His people from. Note however what is said in verse 18. Those mountains again. They’ve been destroyed and they’ve been removed both, but now they’re going to drip wine. Let’s hope this doesn’t interrupt the singing they’re supposed to do in Psalm 98. We go back to Rev. 19 long enough to hear we’re riding on white horses and dressed in some fine white linen. (Note that Rev. 19:8 says that fine linen stands for righteous acts of God’s people. I mean, yeah, the text explicitly tells you that the term it uses just a few verses later is symbolism but hey, details, who needs them?) From there we jump back AGAIN to Joel 2 and start at verse 4. Now some of you might have caught on to that I look at the whole context and figured “Aha! I have you now! Look at what is said in verse 2! Never was in ancient times and never will be in ages to come! This must be a grand climatic final battle! For one thing, the author assumes history will keep going because there is a time after when this will supposedly never be again. But this is typical hyperbolic language. If you’re going this way, you have some problems. For one thing, consider 1 Kings 3:12 when this is said to Solomon. So realize what this means! By this interpretation, Solomon was wiser than Jesus was. Do you want to say that? So did the writer of Kings totally forget about Hezekiah who he wrote about just a few pages earlier, or is this just hyperbolic language used to describe a great event? The same situation is being described. It’s hyperbolic language. So what about the rest of the passage? Noteworthy is the sun and moon are darkened and the stars no longer shine. Will they make up their minds what they’re going to do? If Isaiah 30 had been taken in its full context, the sun would be seven times brighter. Now it’s no longer shining. Did it burn itself out or something? The stars will no longer shine? I thought they had all fallen earlier! What’s going on? And heck, I think it’d be pretty sweet to see armies of horses entering buildings through windows! Why can’t I see a vid of that? The vid goes on to talk about the antichrist and his mark and false miracles and the Lake of Fire. (And apparently, this army is advancing just fine despite the sun being dark.) And hey, at least this video gives us a really cool fire-breathing Jesus! Let’s see what else the text says! So these wooden weapons will be burnt and used for fuel. Sure, the vid shows tanks and not shields and clubs and spears but hey, details. Who needs them? Then we go to Matthew 25 and the parable of the sheep and the goats. The problem with a passage like this being used is that it leads to a works salvation when not understood properly. The reality is that these good deeds are not done to obtain salvation. They are done because one already has salvation. Such misuses have produced unnecessary fear in the hearts of Christians who simply want to know they are in the right with God. I have seen a longer version of this vid where there is an ending with a message of salvation. That’s important to have, but still lacking. It ends with a “Sinner’s prayer” and then says go find a good born-again church. (If you’re a new Christian, how are you to know what that is?) Our churches today unfortunately stress highly the concept of having conversions. They do not stress discipleship. And besides, I’m concerned that this focus of evangelism will only work if you already accept the premise that the Bible is true. If you don’t, it’s just fearmongering. The apostles went a different route. They said Jesus is the risen Lord and King of the universe. Caesar is not! Get in line! How much better off we’d be if we got that message instead? What can be learned from this. Always check the context! We’ve found a great game of hopscotch going on in the biblical text, but the interpretations just do not hold up. There has not been given a methodology whereby we are to know how one is to apply which text where and listening to this kind of material, you’d think the only time the prophets were interested in talking about was this time in the future. I am increasingly concerned more and more with a church that is caught in Last Days Madness, but is not growing in the knowledge of who Christ is and learning what it means to say Jesus is the resurrected Lord or learning more about their Bibles and how they have been handed down. Christians today often cannot defend the resurrection of the Lord, the central foundation of the faith, but they can sure bring out their charts and graphs to explain the end times! Unfortunately, videos like this just add to the hype and in my opinion, increase the biblical ignorance. The Bible is a rich literary work that needs to be read in its proper context. When we treat it like a document written in our way of speaking, we do it, and its divine author, a disservice. Keep in mind that in this post, I have certainly not disproved a futurist or dispensational approach. I disagree with those, but that is not my intent here. My intent is simply to show that I think a sort of sloppy reading of the text has taken place. Such reading has had a history of producing apostates of the faith who still insist other Christians read in a wooden literal sense. Let us seek to return to treasuring the Bible as the rich work that it is and realize understanding it is not a simplistic approach, but a difficult one that will require our time and effort. All Things Work For Israel? Who are we that love the Lord? Let’s talk about it tonight on Deeper Waters. This is another one of those blogs where I’d just like to share my thoughts on a topic I’ve been pondering and get some feedback on it. One of my favorite passages in Scripture that is most assuring to me is when I get to Romans 8 where we are told that all things work together for good to them that love the Lord. As I thought about it one night, I started wondering just how it is that Paul knew this truth. It seems simple to us, but what was there behind it? I started asking the question about who those are who love the Lord and then remembered that if I was reading Romans, chapter 9 immediately starts off with talk about Israel. What if all those who love the Lord are what Paul wishes to call Israel? Let’s consider how the book begins. It starts with the first chapter about how the gospel is for the Jew first and also for the Greek. Keep in mind that in Rome at the time, it is quite likely that the Jews had just returned from being exiled out by the emperor and Paul was dealing with some who were thinking “We already have a church. We’re Gentiles. What about them?” There could have been some strong anti-Semitism going on here. How does he begin? He begins by talking about how the Gentiles went away from God. Those Gentiles who are Christians should literally thank God because their past is not too pretty. Polytheism, idolatry, and homosexuality would have been abundant in the ancient world. The first was a theistic error. The second was a specifically religious sin. The final would tear apart the very family unit. Okay. The Jews are liking this. Not so fast! Chapter 2 shows Paul doesn’t let them off the hook. They’re not exactly saints. In some ways, they’re worse because they have the Law and they have the covenant promise of circumcision and even while having the Law, sometimes the Gentiles are doing better than they are. Also, they have the commands straight from God and they still violate them! Romans 3 begins then with what is the advantage in being a Jew? First, they have the very oracles of God. Notice that Paul says first. There is a second, but he never explicitly mentions it. Instead, he gets on his first point with the idea of “How does this help us with righteousness?” He shows that all are equally condemned and that salvation cannot come through the Law. Well how are we to be saved then? For that, we bring in exhibit A, Abraham, the friend of God. If it worked for Abraham, it works for everyone. Paul makes a master argument establishing that the righteousness Abraham was credited with was granted to him before the covenant of circumcision was given! Thus, one can be righteous and be uncircumcised since Abraham was! Abraham was instead declared righteous by faith! The next chapter is our response and how God reached out to us and why it was necessary. We have peace with God that Adam ruined for us. Christ was the perfect representative of the human race and he was what Adam had been meant to be. Adam had reached out for equality with God and lost it. Jesus willingly did not consider his equality something to be grasped, and thus it was truly declared of Him in His earthly life. If this is all true, and we are all covered, why not sin anyway? We have grace! It has been said if you are ministering and people do not hear a message of antinomianism sometime, you really haven’t touched on grace. Of course, Christians are not anti-Law. Paul wasn’t. They are pro righteousness however and holy living exists apart from the Law. Romans 6 is about how we left a lifestyle behind that would have given us a death sentence. Let us not serve it any more! Then comes Romans 7 where we hear about the futility of righteousness by the Law. Some have said in Romans 7 Paul is talking about himself. I’m skeptical of that claim. Others have said it is about Adam, but as I have thought about it, what if it was really Israel he had in mind? Now follow me with this to chapter 8. Chapter 8 is about forgiveness, but also how all of this extends to the restoration of creation. He then gives us the verses this blog is about, but notice he speaks about those who God called. If Paul has been talking about the benefit of being a Jew throughout this, who would he have in mind? Who was it that was called in the Old Testament? It was Israel. Those who love the Lord are Israel! Have I thought it through the rest of the way? No. That is still being pondered, but I do notice that Romans 9:1 is the first time in the book that Paul uses the word “Israel.” Until then, he has been just saying “Jews.” Could it be that Paul is not wanting to say that because someone is a Jew, they are automatically Israel? Could it be that Paul is wanting to widen the categories so that Gentiles can be truly Israel and this could help explain the “All Israel shall be saved” verse? Is it that those who truly love God and are the “remnant” are the true Israel and the Gentiles in Rome should in fact be friendly to the Jews because these Jewish believers are true Israel? This is an exciting idea I think and I am going to be pondering it further, but for now I wanted to get the idea out there. All things work for us who love the Lord perhaps we are all now the Israel of God. The promises given to them apply to us and their past is ours. Keep in mind Paul does speak to a church with several Gentiles in 1 Corinthians 10 but at the same time says “Our forefathers passed through the Sea.” Has the gospel broken down the barrier between Jew and Gentile so much that a Gentile can be considered Israel? Posted on 16th February 2012 Author Nick PetersCategories General Christian TeachingsTags Israel, Romans 85 Comments on All Things Work For Israel?